The most successful people have a plan! In this 90 minute session you will get undivided attention focused on your particular situation; where you want to be going and your blocks. 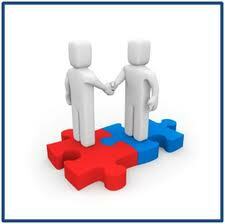 Between us we will then get you started on an action plan to implement immediately. This is a particularly useful session for your social media manager when their manager doesn’t understand social media. we can also offer supervision/support packages. Is your social media plan for 2019 all sorted? We all get stuck from time to time, often all we need is the support of a pair of fresh eyes and ears on our situation to bring things back to life, re-energise us and get clear focus again. Taking the time to do that is one of the best things you could do for your organisation. “Jane Binnion offers a fully professional business coaching service; she knows what she is doing. I called for her help to get my feet back under me and to stop racing around like a crazy thing. We did some soul searching about a variety of new structures, including getting outside help with some facets of my business to free me up to pursue others”.